This tightly packed cemetery houses 5 wargraves according to the CWGC website, but I only managed to locate 3. Admittedly, it was pouring with rain the day I visited. 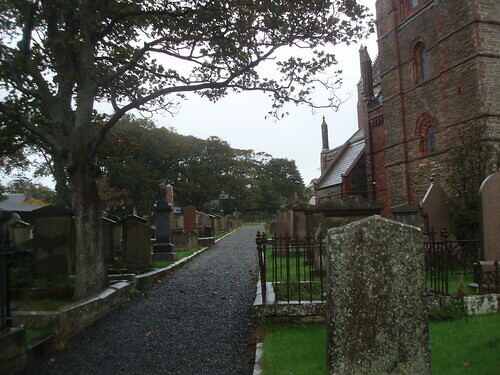 The graveyard circles St Magnus Cathedral, in the centre of Kirkwall, on thre sides. The 3 graves I found are all located in the northern part of the cemetery, on the side of the cathedral facing Albert Street (and formerly the Tourist Office). The entrance is through a portal, bearing the local war memorial (see Scottish War Memorials Project). 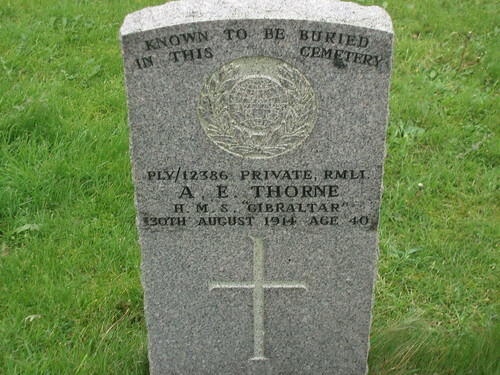 Son of George Robert and Rosina Thorne; husband of Rhoda Thorne, of 64, Durnford St., Plymouth. Born at Blandford. Regiment/Service: Royal Marine Light Infantry, (RMR/211078). H.M.S. "Gibraltar." 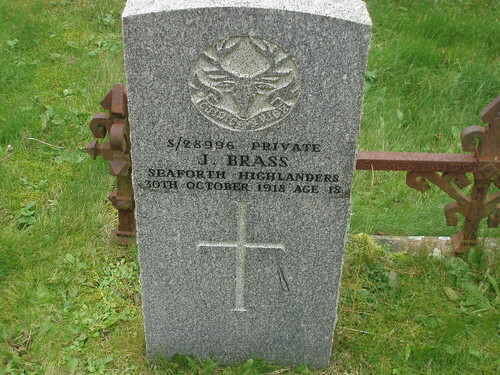 Son of Thomas and Margaret Brass, of "Pipersquoy," New Scapa Rd., Kirkwall. 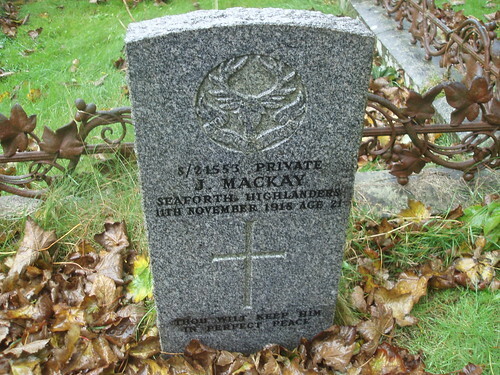 Son of John and Margaret Mackay, of 14, Victoria Rd., Kirkwall.